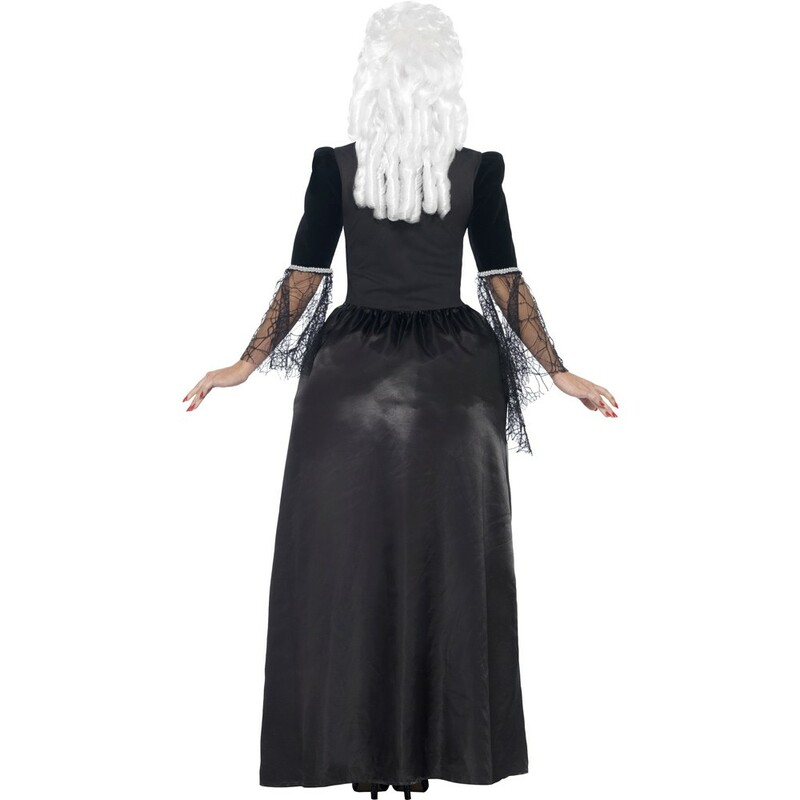 A Black Widow Baroness Costume including a Dress – Ideal for Halloween, or any spooky fancy dress occasion! Transform yourself with this creepy Black Widow Baroness Costume and you shall go to the ball! This Black Widow Baroness Costume comes including a Dress. 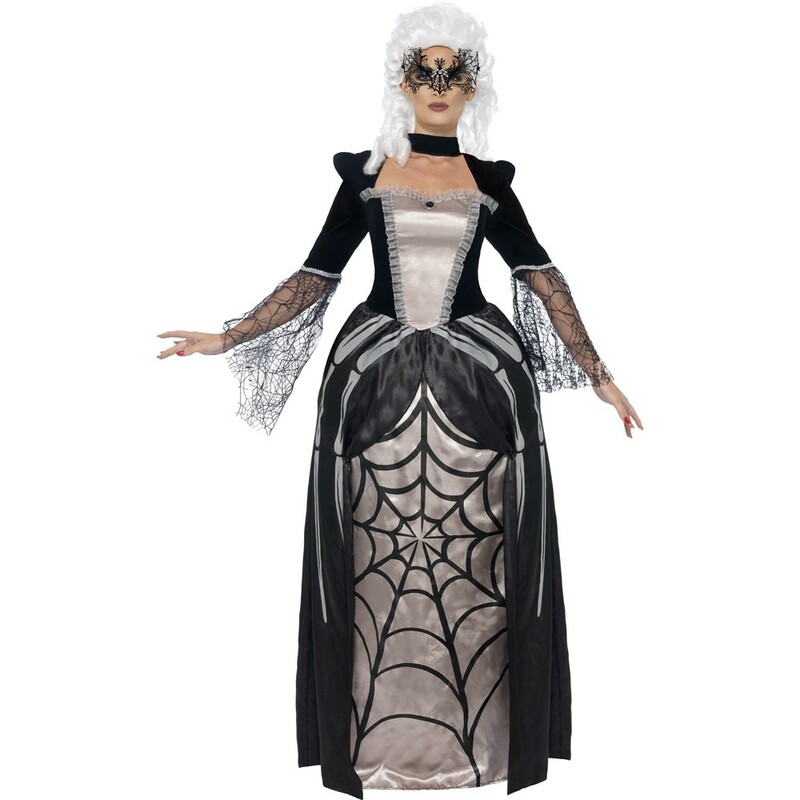 This full length ball gown styled Dress features a spooky printed spider design on the skirt, which will look great no matter what the occasion. The black bodice features a silver satin panel in the centre, with a ruffled trim, and black lace sleeves with a spider web design. Perfect for Halloween, or any spooky fancy dress occasion, this amazing Black Widow Baroness Costume. Dance the night away in style with this brilliant Black Widow Baroness Costume. A Black Widow Baroness Costume including a Dress.